Russian Film Week comes back to London for the second time, bringing a large number of latest releases from this year as well as a series of exhibitions that will run along with the festival. 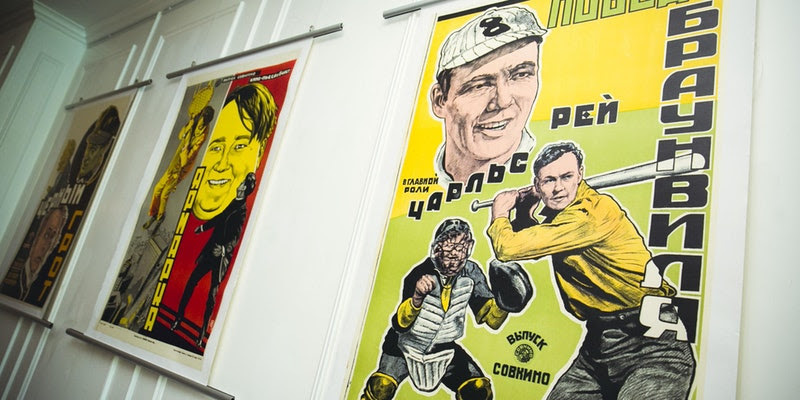 In order to make the experience of exploring Russian cinema even more enjoyable, the curators of the festival are putting together a display of various Russian and British film posters provided by Filip Perkon, the founder of RFW, from his extensive collection. The exhibition is called To See Each Other and is meant to provide some multicultural context for those who decided to plunge into the world of Russian cinematography. 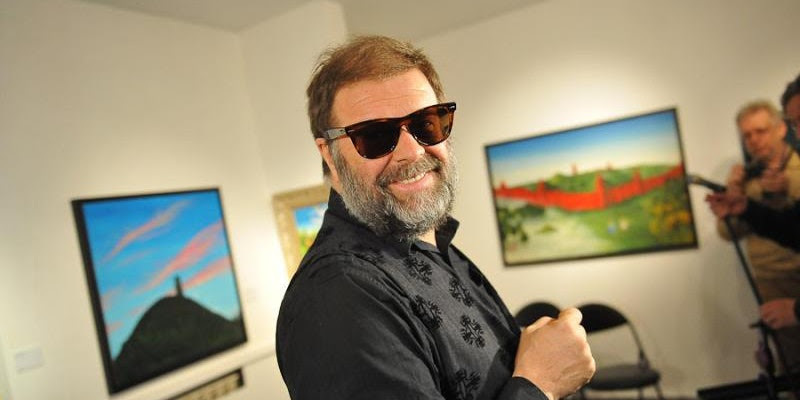 As part of the festival, the famous Russian singer-songwriter, Boris Grebenshchikov, will be coming to London to perform at the awards ceremony and to open an exhibition of his paintings at the Exhibitionist Hotel. Although Boris is widely recognised for his musical contribution, he has been engaged in visual arts for many years, and this show is just another proof of that. Grebenshchikov started painting in 1976, focusing on depicting his state of mind and conveying it to the viewer, rather than mastering specific technical skills. What’s more, painting is not the only visual art Boris has been experimenting with – the founding father of Russian rock, as people often refer to him, has starred in many films including Two Captains 2 and others. His music is used in a lot of Russian films made in the last 40 years. Another event that will be held along with the festival is a photo exhibition dedicated to Amur tigers. 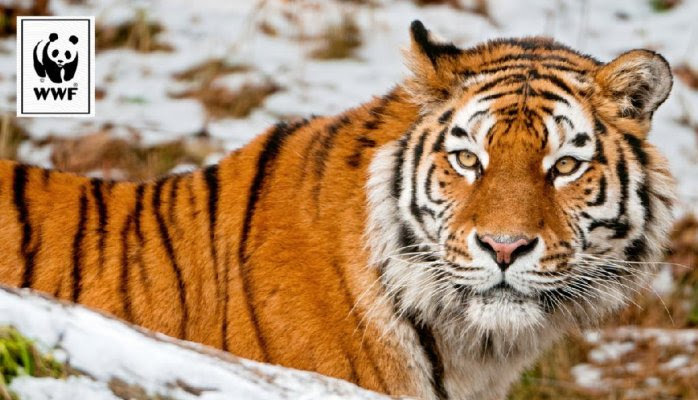 Every year the Russian Film Week team supports a charity, and this year, to mark the Year of Ecology in Russia, the choice fell on the WWF UK project to save Amur tigers in Russia. Poaching is one of the reasons the population of tigers is declining; Pavel Fomenko and his team work in a natural reserve, curing and operating wounded animals. Through showing photos of endangered tigers, Russian Film Week and WWF are hoping to raise people’s environmental awareness as well as funds in order to contribute to the project. The exhibition will include works by the award winning photographer, Vladimir Medvedev, showing the breathtaking beauty of Russia’s nature. All the proceeds will be sent to wildlife sanctuaries and spent on enhancing the population of Amur tigers. The exhibition opens on 24th November at Russian Culture House. Last but not least, on the day of the closing ceremony, a fine selection of chic and lavish costumes designed for the film Mathilde, the drawing card of the festival, will be shown in the main lobby of the BFI Southbank. 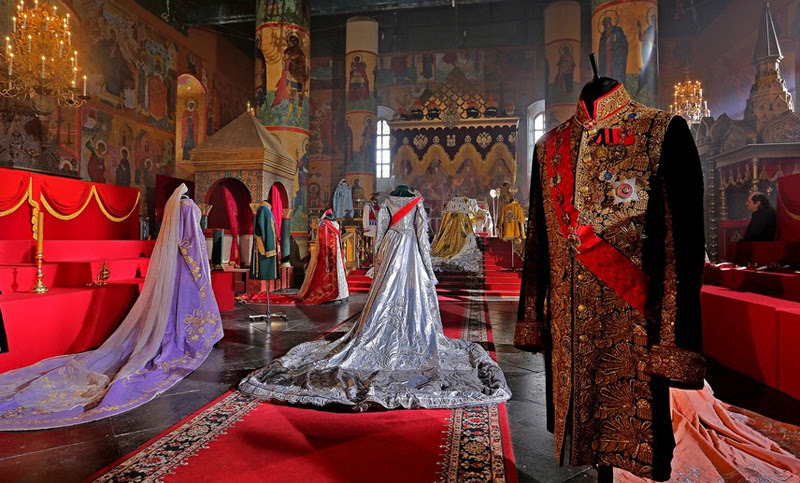 The collection of fabulous hand made dresses, including the ones sewed for the coronation scene of the movie, has been exhibited in many European galleries and now is finally arriving in London. So even if you have missed a chance to watch Mathilde, it is worth coming around to the closing party to check out the costumes! Tickets to the closing party can be purchased here.